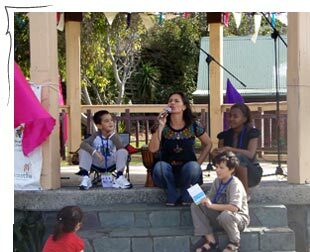 I am there drumming with Flourish Wollongong and telling a story on stage at 11.50. Come at any time, talk to some of the wonderful folks in our community. You will be led through imagination starters and story sparks for an hour of interactive and improvised story games, culminating in a finished short story committed to paper. The group then decides on how your stories will be gifted to others. 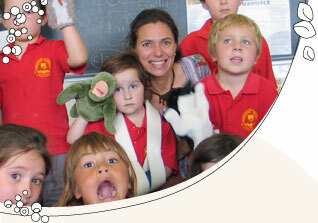 I will teach a program on using traditional multilingual stories to enhance and engage language learners. As a performer and language teacher (Spanish and English) I use traditional stories to frame my lesson planning and provide real world experiences of using the target language. Story Beats (Matt Bourne and I) will be performing daily, either a full improvised set where we inspire and record stories in the tent told by all who attend or stage performances of stories from our CD. We look forward to this piece of magic that is a festival. StoryBeats - Matt Bourne and I will be playing with drums, stories and you! Once a week we share stories for an hour, including creating our own and we follow it all with percussion for 30 minutes. Once a week we share stories for all ages, this is a families story and skill sharing session. Contact SCARF or me if you would like more information. English, Spanish, Turkish and Swahili.